Little is known of the Luri dialect of Khurramabad, but Professor Amanolahi of Shiraz University has collected various stories from his native town in the local language. Together with Wheeler Thackston of Harvard he has prepared a compact volume covering the tales in transcription, translations into English, a short grammatical sketch, and a Luri-English vocabulary (Luristan is a province of western Iran in the Zagros Mountains). The traditional grammatical analysis of the dialect is easy to follow and the translations of both poetry and prose closely follow the original, a tribute to the close collaboration of the two scholars. 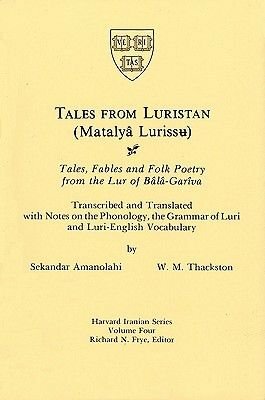 This unique volume will be of great interest to students of the folklore, linguistics, and customs of the inhabitants of the center of Luristan.